It's Thursday- what is Squirrels doing post on a Thursday? There aren't any WTH? 's in the title. She didn't ask "Are you freakin' kiddin' me??!?!? I never made it to school today. "Self, if you don't go to school today, you are not going to have pics to share!" And that would make me a fibber! so instead I took some shots while cooking dinner. you made my day easier today!" It is one of the Littles Favorites and it is sooooo easy!! Yes, it is Stove Top. but remember we are in a (semi) hurry. 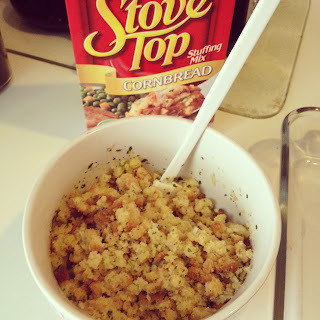 Pour stuffing in bowl. Add One and Half cups of Water. Microwave One minute. 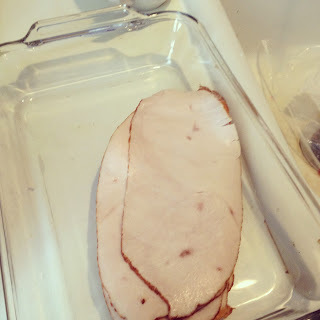 This is Smoked Turkey from the Deli. 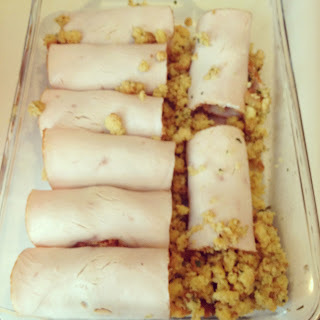 Add them to the casserole dish- I dump the extra stuffing that didn't fit into the turkey around the sides. (This could be the only recipe with the word "dump" in it). 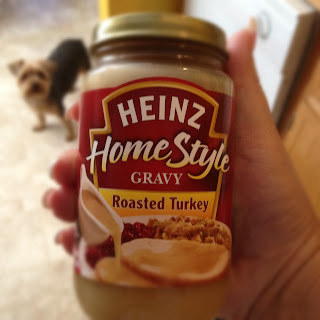 don't EVER tell my grandma that I bought premade gravy!! Well I am sure there are other things that would send her over the edge- but she would definitely frown upon gravy from a jar !! Poor it on top. Oven like 15 mins on 425. 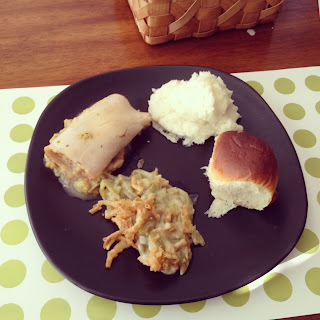 I totally cheated on the green bean casserole, too. I do have standards people!!! The potatoes take the longest. Someone should start a "linky" of easy recipes for the busy teacher. about 5 or six of them! YOU ARE EVIL- MOVE THAT DOLLAR SPOT!!! YOU ARE MILKIN' ALL THE TEACHERS DRY! I would have never found if it hadn't been for Holly and her B. (They MUST be Secret Squirrel Shoppers). but darn it- those books were under a dollar!! Heck even if I read them once- I have gotten my money's worth!!! 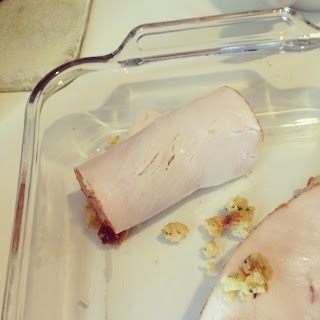 Your turkey rolls look better than what I made for supper! Silly me trying to make crab cakes out of precooked fake crab!! So I made crab drops!! The recipe is definitely not a keeper, but I'm keeping your recipe for next week! Love your note to Target! It is so true! 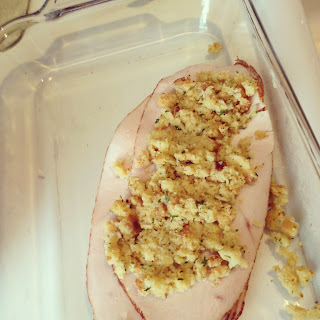 My kids looove stuffing - this will be a great dinner for them (I skimp and make boxed potatoes - I'll try to do better! )Just one question - how thick is that turkey? When i get lunch meat from the deli I always ask them to make it as thin as possible, somehow I don't think that will work for turkey rolls! Are we talking a 3 or 4 on the slicing machine here? Oh! and if you start that recipe linky I have a fab recipe for meatballs that only has 3 ingredients! 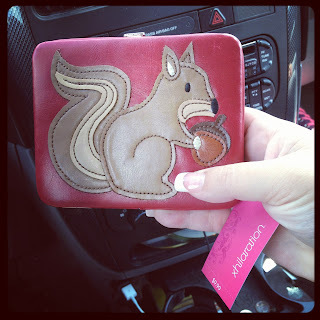 By the way, totally jealous of your cute squirrel wallet! I want an animal mascot too! Unfortunately my last name sounds nothing like an animal - and it's impossible to spell too! Waaah! Great recipe! I am going to have to try that easy dinner with my family. 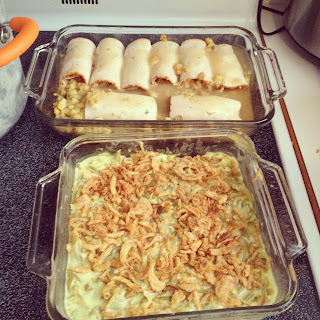 They LOVE green bean casserole too, so that will be the BOMB! Glad you got your awesome wallet! Maybe you can do a linky on easy teacher recipes. Just a thought! hmmm, maybe I'll add a Squirrels recipe to my collection. I made a really easy garlic bread pizza the other day (not healthy, but easy). You should give it a try (it's on the blog). Love reading your posts! Thanks for the easy recipe...I will be making this -yum! I SOOOOO agree with you...there's a lot of power in knowing you can go to school and leave when you WANT to:-)I skipped school today, too, but it's because I'm waiting on an air conditioner repairman...yep, 107 this weekend and the air is on the blink! Ugh! Check out my blog for two reasons: I nominated you for an award AND I will post later today about a SUPER easy recipe I make when I know I will be home late. WTH? I thought you were getting a blog makeover! When done place stuffing mix and seasoning package together with the sausage,onions and celery. 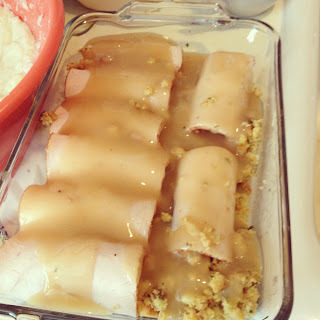 Note you may or may not need to add more water,depending on how moist it is.now make your turkey rolls with that. This is how I make my thanksgiving stuffing,one exception I use bells stuffing instead. Enjoy.